Finding Balance In An Ever Changing World. There are no perfect families because perfect parents don’t exist. Being the best parent you can be involves unconditional love and support, not just for your children but for yourself. Many people do not see their own value and expect that somehow they will raise children that do. 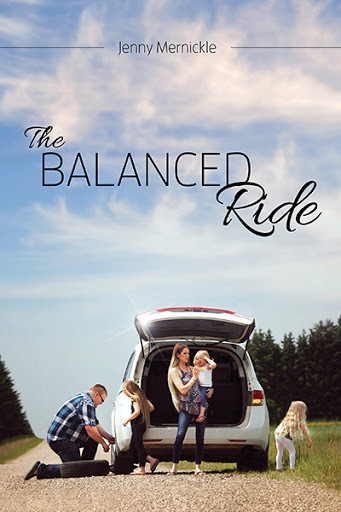 This book will help restore balance in your family life and enable the reader to enjoy the ride. Written with dads in mind the tire analysis makes for an easy and relate-able read. The Ugly Toad is a powerful little book that illustrates that the impact of words, as being true or false, is based on your own ability to determine what you believe. It is beautifully illustrated and written for readers of all ages to fully comprehend that what you believe about yourself is of the utmost importance. Are you having Jenny as a guest speaker? You can buy multiple copies of The Ugly Toad or The Balanced Ride at a discounted rate to hand out or sell to guests. Please let us know at time of booking or during communications that you are interested in this option and we will give you a quote based on the number of copies required. A fantasy fiction novel directed at children and youth, this page turner will thrill readers young and old while providing valuable morals centered around themes of good and evil, supporting each other, and the impact of our choices.